Bala Bala is an Indonesian dish. 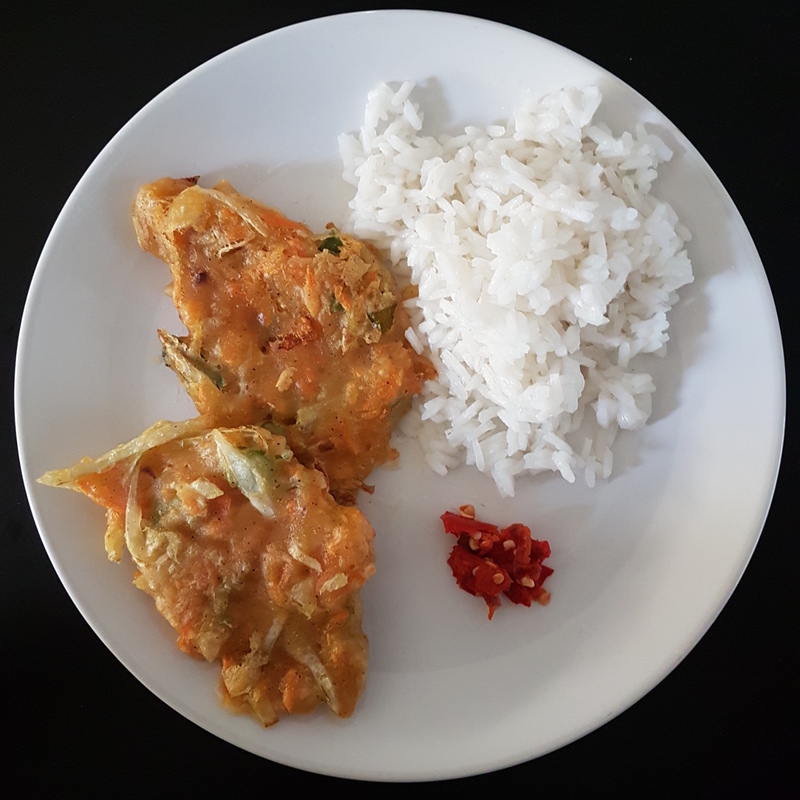 It can be eaten alone, with rice or with Sambel goang. This takes approximately 45 minutes. Peel the carrots and use the Grater to make small pieces. Cut the green onion into pieces. Put the weat and the spices in the bowl and mix it. Add the carrots, the cabbage and the onions and mix again. Add the water, salt and pepper. Mix until you get a homogenious dough. Add more water, if you can't mix the stuff. Add more wheat if it is not sticking together. Put the oil in the pan. The oil should be at least 0.5cm high. Heat the oil until it is hot. Put the dough in it. Fry to the degree you like.